According to LiveMonitor, President of South Africa, Jacob Zuma have announced the ban on citizens of nine countries of the southern part of Africa from migrating into South Africa. With immediate effect, citizens from these countries will no longer be allowed in South Africa in what Jacob Zuma called a temporary freeze. Addressing the parliament, Jacob Zuma said the countries in Southern Africa are responsible for the rampant job loss among local South Africans. “I want South Africans to have jobs before others but it’s the other way round. 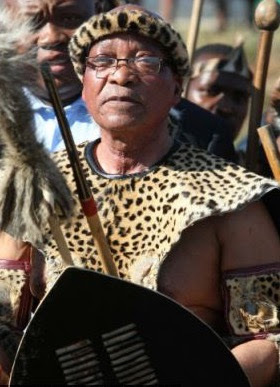 Why should my child suffer while my neighbor’s child eats in my field?”, Zuma said. Another reason for this development as highlighted by Zuma was the alarming crime rates. He said foreigners from neighboring countries commit crimes and run away from their countries, mostly illegals. “All foreigners currently in South Africa from the affected countries will be vetted and if found to have contravened, they will be sent home immediately”, he announced. There was no word on how the affected countries would respond to Zuma’s shock announcement. Though the news was vehemently resisted by various stakeholders and diplomats from the affected countries which are said to have called an emergency meeting. The nations banned from entering into South Africa are Angola, Botswana, Lesotho, Malawi, Mozambique, Namibia, Swaziland, Zambia, and Zimbabwe.